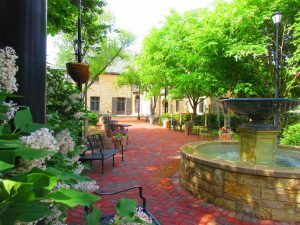 The Illinois Office of Tourism has chosen Ewing Manor as a featured venue for the statewide Doors Open Illinois. The program highlights historic locations from around the state during the month of August. Ewing will be open to the public at no charge from 9 a.m.-4 p.m. Saturday, August 11, and from 11 a.m.-2 p.m. Sunday, August 12. The manor is located at 48 Sunset Road in Bloomington, with parking available at the St. John’s Lutheran Church on Emerson Street.